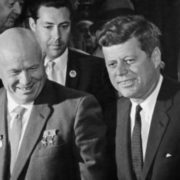 Nikita Khrushchev is one of the most controversial figures in the history of the USSR. 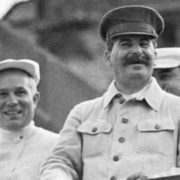 He was a “peasant son” who rose to the top of power, which did not prevent the politician from a number of achievements in the “reorganization” of Soviet society after the deadly ideological schemes of his predecessor Joseph Stalin. Nikita Sergeevich became the most outstanding reformer of the Soviet Union. 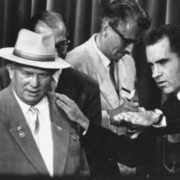 You know, Khrushchev was first secretary of the Communist Party and leader of the USSR during the first decade after Stalin’s death between 1953and 1964. He abolished the most ruthless aspects of the political system and tried with limited success to catch up with and overtake the U.S. economy. 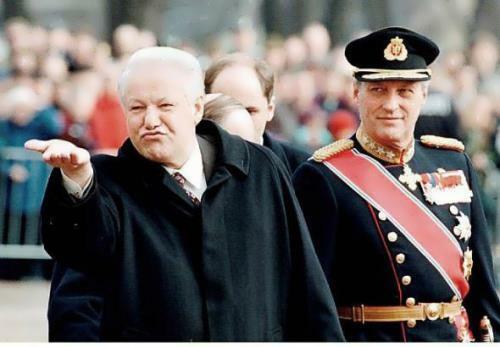 He was one of the most important figures of the Cold War. 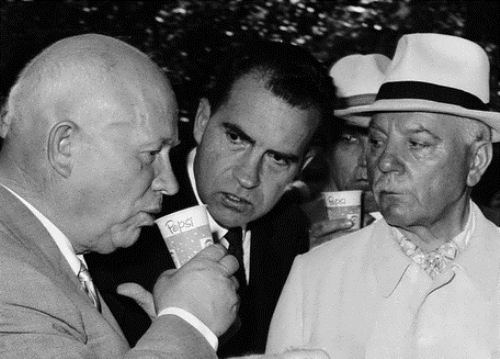 During his ten years in power, Khrushchev never stopped surprising the world with his vigor and stamina. He could work 14 to 16 hours a day, never needing a break. To tell the truth, he allowed himself to relax only during his energetic hunting sessions. 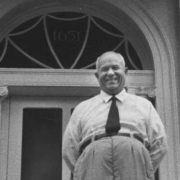 Nikita Sergeevich Khrushchev was born in April 1894 into the poor southern Russian village of Kalinovka. His parents were illiterate peasants, and young Nikita was more familiar with hard labor than formal education. Primary education Khrushchev received in the parish school. During the summer holidays the boy worked as a shepherd, and in the winter he learned to write and read. 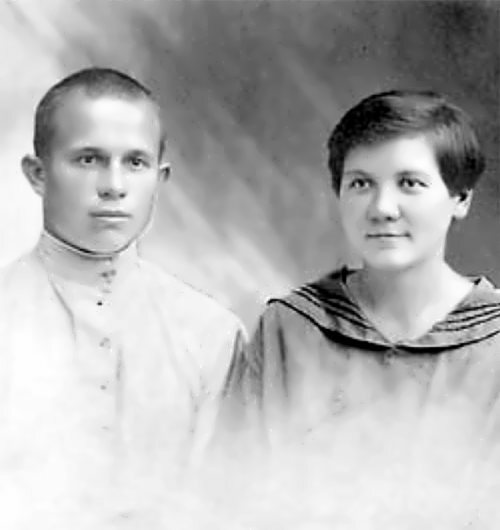 In the early 1900s, the family moved to Yuzovka, where 14-year-old Nikita Sergeevich started working at the machine-building plant. Four years later Nikita worked in a coal mine and joined the Bolshevik Party. During the Russian civil war Nikita served as a political commissar in the Red Army. In 1927, Nikita as a representative of Yuzovka was invited to the Congress of the CPSU, where he had a fateful acquaintance with the “gray cardinal of Stalin” Lazar Kaganovich. 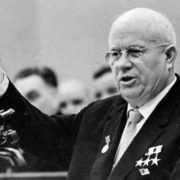 He saw in Khrushchev political potential and contributed to his rapid career. Serious political biography of Nikita began in 1928. Then Kaganovich promoted him to the central apparatus of the Communist Party of Ukraine. 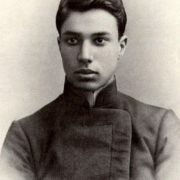 In connection with this, Nikita Sergeevich had to enter the Industrial Academy of Moscow, since secondary education was not enough for a republican official. In 1939 he became a full member of the Politburo. 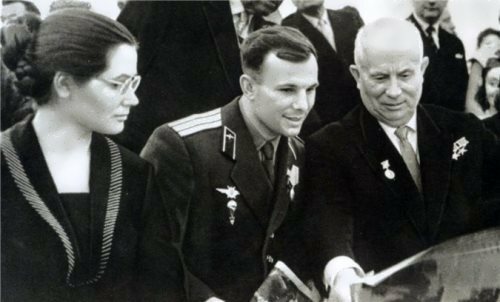 During the Great Patriotic War the politician led the guerrilla movement and rose to the rank of Lieutenant-General. 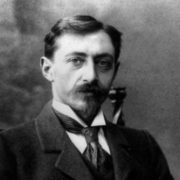 Although historians have made Nikita Sergeevich responsible for a number of defeats of the Red Army on Ukrainian territory. 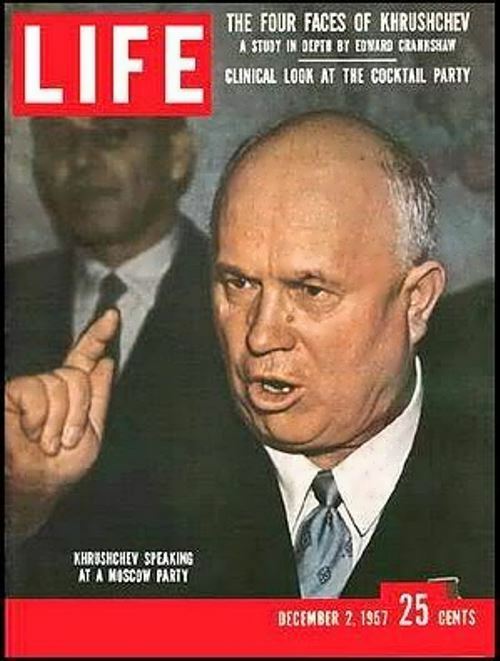 After the war, Khrushchev remained the leader of the Ukrainian SSR. 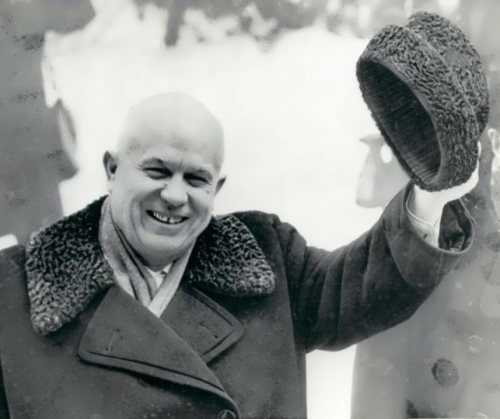 But in 1949 he was transferred to Moscow and became the head of the largest party organization of the USSR. 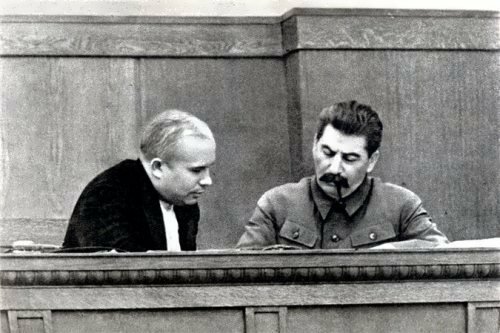 When Stalin died in March 1953, Khrushchev battled with Georgy Malenkov, Lavrenty Beria, and Nikolai Bulganin for the leadership. By early 1955 he had emerged as the clear leader of the Soviet Union. 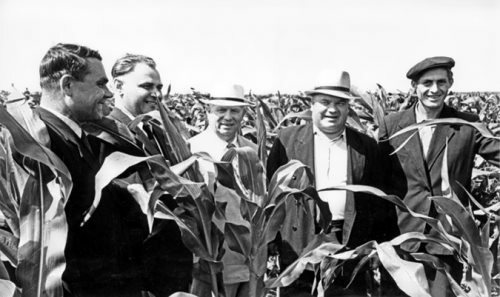 The years of Khrushchev’s rule were marked by serious breakthroughs and failures in the economy of the Soviet Union. 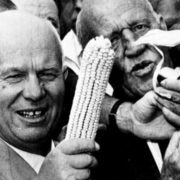 The loudest of them was the “corn epic” – the Soviet leader decided to make the “queen of fields” the main cereal of the USSR, ordering the cultivation of corn everywhere, even in Siberia. 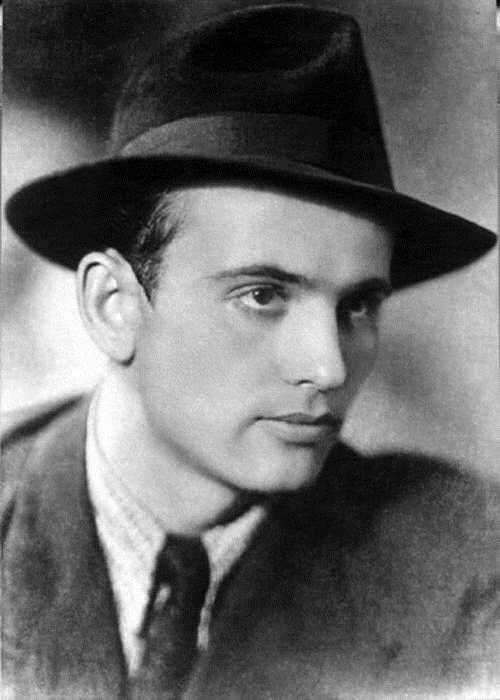 His reforms are characterized by the elimination of the catastrophic consequences of the Stalinist repressions of the 1930s, the release of thousands of political prisoners, the emergence of partial freedom of speech, openness to the Western world and the introduction of relative democratization into the public and political life of the country. 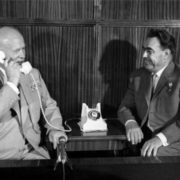 However, Khrushchev’s economic policy was not just a failure, but a catastrophic one for the Union. The ambitious leader of the USSR decided to surpass America and increase the country’s economic several times, which led to an unforeseen collapse in agriculture and famine. 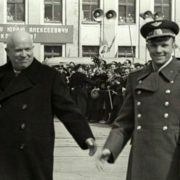 At the same time, among the achievements of Khrushchev, one can also note indisputable successes: he promptly developed the construction and settled millions of Soviet citizens in his own apartments. 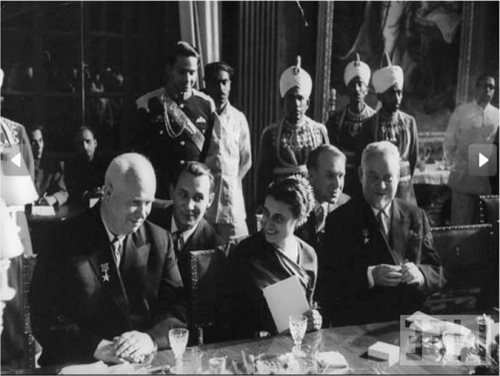 In 1955 Khrushchev and Prime Minister Nikolai Bulganin traveled to India, Burma, and Afghanistan. 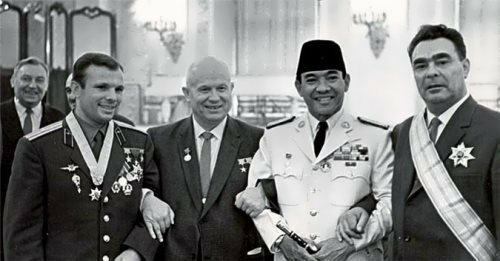 In 1960 he returned to these three countries and visited Indonesia as well. He backed the radical president of the Congo, Patrice Lumumba, and reached out to support Fidel Castro in Cuba. 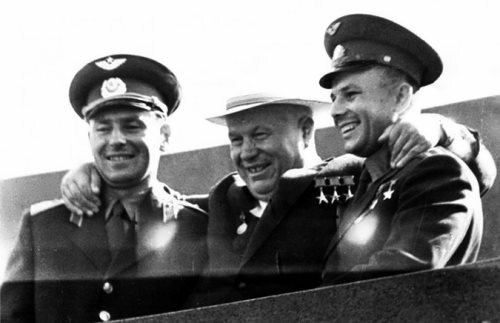 Under his leadership, the Soviet Union kept pace in the nuclear arms race with the United States and developed a space program that had significant successes. The launch of the Sputnik satellite in 1957 and the first manned space flight in 1961 were great technical triumphs for the Soviet Union. 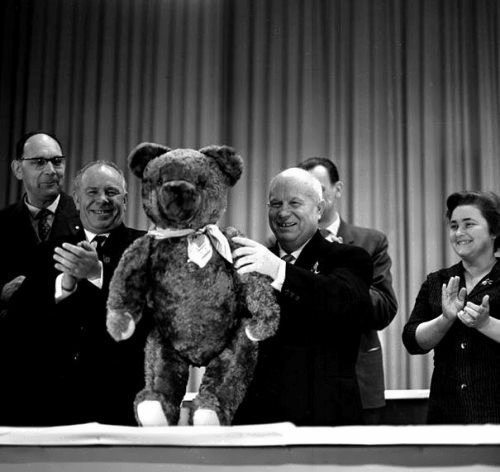 In 1957, according to Khrushchev’s order, the World Festival of Youth and Students was held in the capital of the USSR. The participants from 131 countries took part in it. 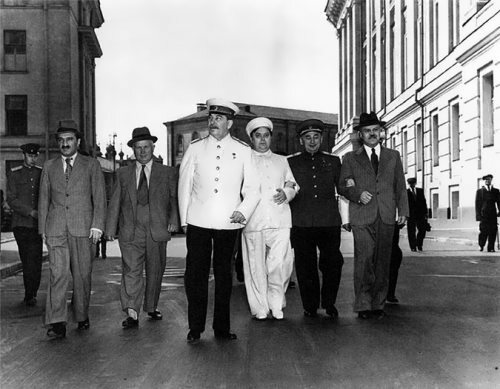 The event positively influenced the image of the Soviet man in the eyes of foreigners. 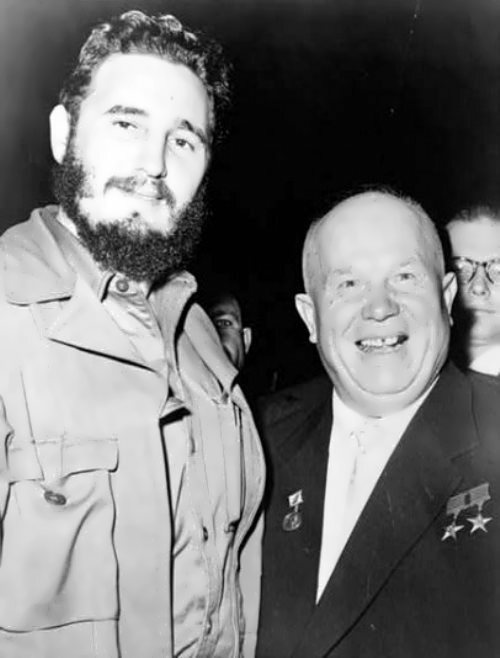 In 1962 Khrushchev secretly placed nuclear missiles in communist Cuba. The purpose of this gamble was to protect Cuba from U.S. attack and to provide the Soviet Union with instant strategic parity. When U.S. spy planes detected the missiles, however, a standoff resulted that brought the world alarmingly close to nuclear war. 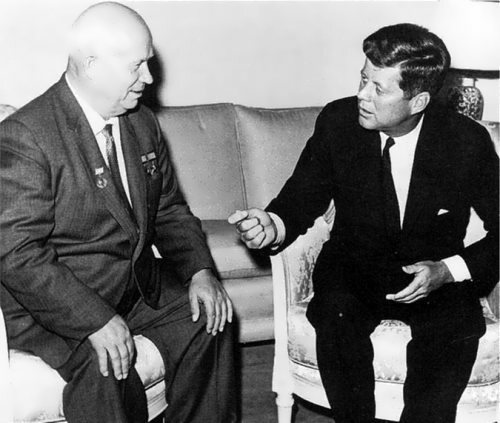 In late 1964, Khrushchev was removed from power by a conservative faction led by Leonid Brezhnev. 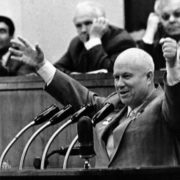 From 1964 to 1971 Khrushchev lived under de facto house arrest outside Moscow. 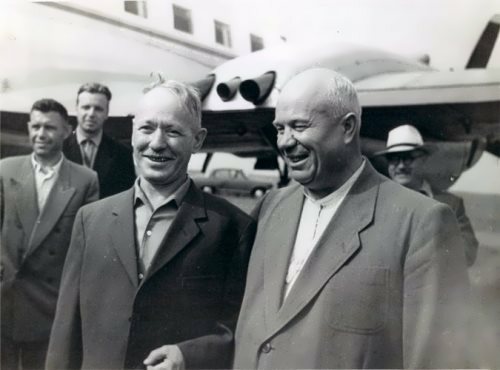 The personal life of Khrushchev is no less interesting than his political career. The third head of the USSR was twice married and had five children. The first time Nikita Sergeevich married Efrosinya Pisareva at the very beginning of the party activity. Efrosinya died of typhus in 1920. 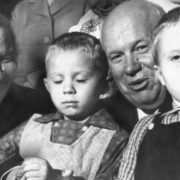 For six years of marriage, Khrushchev’s first wife gave birth to two children. 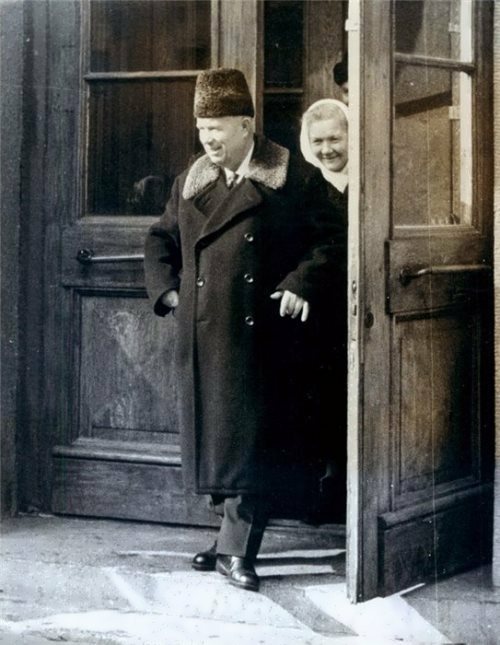 In 1922 Khrushchev began to live with a girl named Marusya. Relations lasted no more than two years. The girl already brought up the child from the previous marriage. 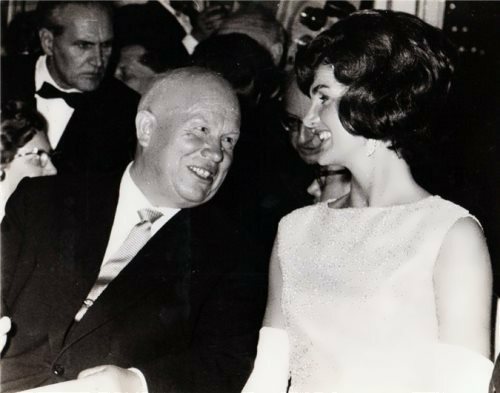 The second wife of Nikita Sergeevich was Nina Kukharchuk, who went down in history as the first spouse of the Soviet leader accompanying him at official events. 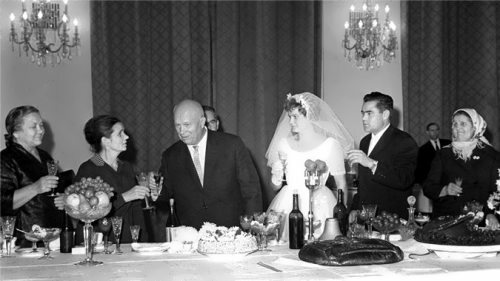 With Nina Petrovna, the head of the USSR lived for more than 40 years in a common law marriage and only in 1965 they officially registered their relationship. Nina was the daughter of a peasant, she worked in Yuzovka as a teacher at a party school, where she met Nikita. 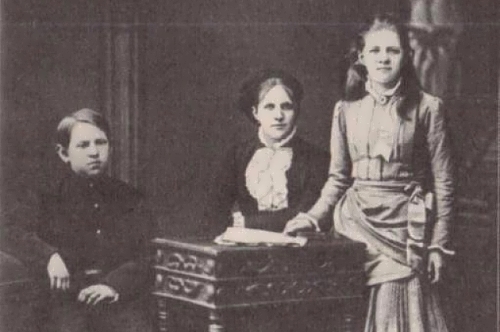 Despite the origin, Nina Petrovna spoke Russian, Ukrainian, Polish and French, as she was educated at the Mariinsky Women’s College. Nina did not stop self-education even during her marriage. 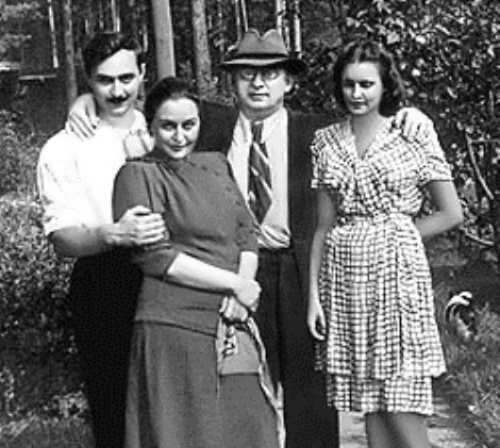 In the late 30’s, being already the mother of three children, she began to learn English. 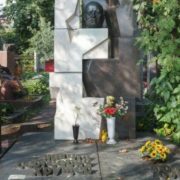 He died from a heart attack on September 11, 1971 and was buried at the Novodevichy Cemetery in Moscow.